Its completely free to use.! If you have enjoyed this website, why not donate something towards the running costs. Our relationship with, and our perception of the world has undoubtedly changed considerably over time. Evidence suggests that our primitive concepts of religion and magic are tied in with a belief that the Earth itself was a living being. In Greek mythology, Gaia was the primordial Earth-Goddess from whom all life sprang, similar Earth Goddess figures are found in most cultures around the ancient world. 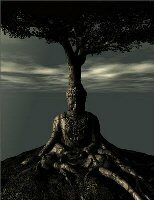 According to Jung, trees are a symbolic reference to the self. They are entwined into some of the earliest mythologies we have such as the World-Tree, or Tree-of-life; which are amongst the most common motif's from the ancient world. Regardless of any metaphysical connections, we depend on trees for our survival, but what more we can learn from them. 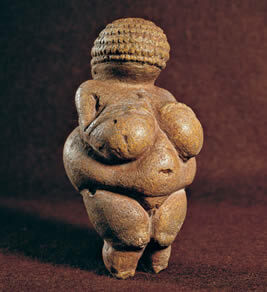 Images and Ancient cultures around the world have attested to a belief in a 'female' earth-mother. The earliest human burials placed the bodies back into the ground in a foetal position, and covered the bones in red ochre, supporting the idea of a belief system that considered us as 'returning' to the earth-mother in death. The Oracles of the ancient world were seen as a direct link between mortals and the Gods. 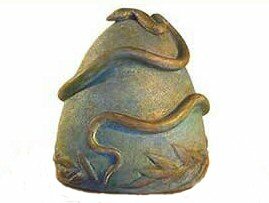 The earliest, such as that at Per-Wadjet in Egypt, was portrayed as a woman with a snakes head, an image which persisted into Greece through the female Pythona or 'Oracles', who offered divination from the underworld and echoed the earlier beliefs in an earth-mother. 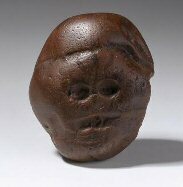 From the discovery of the small Jasper pebble in the 2.5 million year old Makapansgat cave to the numerous faces in Neolithic megaliths and identification of hills to 'Sleeping Giants' and 'Paps of Anu' etc, there seems little doubt that natural anthropomorphic imagery was seen as being part of a living landscape endowed with the physical spirit-force of the earth mother. The prehistoric landscape was fashioned to meet the developing perceptions of the Neolithic mind. 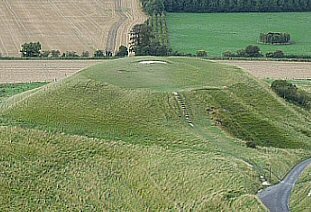 Levelled hilltops, primal mounds and a desire to connect the landscape through alignments and images formed the basis of the realisation that we are all part of the same integral living system. The Shaman has played an important role in the psychic development of humans acting as a bridge between the known and the unknown. Recent interpretations of Palaeolithic art suggest that many were Shamanic in nature, perhaps explaining why so much is found in the deepest and most isolated places within the the earth itself. 'Even the rocks, which seem to be dumb as they swelter in the sun along a silent shore, thrill with memories of stirring events connected with the lives of my people (2). 'Earth our mother, Eagle our cousin. Tree, he is pumping our blood. Grass is growing. And water. and we are all one'...Aboriginals have a special connection with everything that is natural... We see all things natural as part of us. all things on Earth we see as part human' (3). 2). Hughes, J. Donald. American Indian Ecology. 1983. Texas Western Press. 3). Paul Deveraux. Earthmind. 1989. Harper and Row Publ.